[G]enuinely world-leading in its breadth and ambition. It will impose legally binding targets requiring the UK to cut greenhouse gas emissions 50 per cent by 2050 and 60 per cent by 2030, in the process ensuring that the country’s electricity infrastructure is all but decarbonised within 20 years. Moreover, by 2025, 2.6 million homes will have highly energy efficient heat pumps, and almost a third of new cars will be electric. Every component of the economy will face similar levels of revolutionary change, ensuring that the UK will almost certainly become one of the world’s premier low carbon economies, generating billions of pounds a year from exporting green technologies and expertise. [I]t appears that whilst the government will accept the CCC’s advice on the scale of the carbon targets for the mid-late 2020s, they won’t accept the recommendation that short term cuts need to be increased. Understandably, some will rightly point out that it’s convenient for the prime minister to agree to a 50% cut in UK emissions by 2025 – when he’s unlikely to still be in power, but to reject the advice of raising the 2020 target. Equally, it is understood that government will announce tomorrow it will rely on carbon offsets to a greater extent than is recommended by the climate committee. This is a classic case of politics influencing policy. But no matter what some doom merchants may say in tomorrow’s papers, be in no doubt, this remains a radical piece of climate legislation. It commits to concrete action. It is to be welcomed. 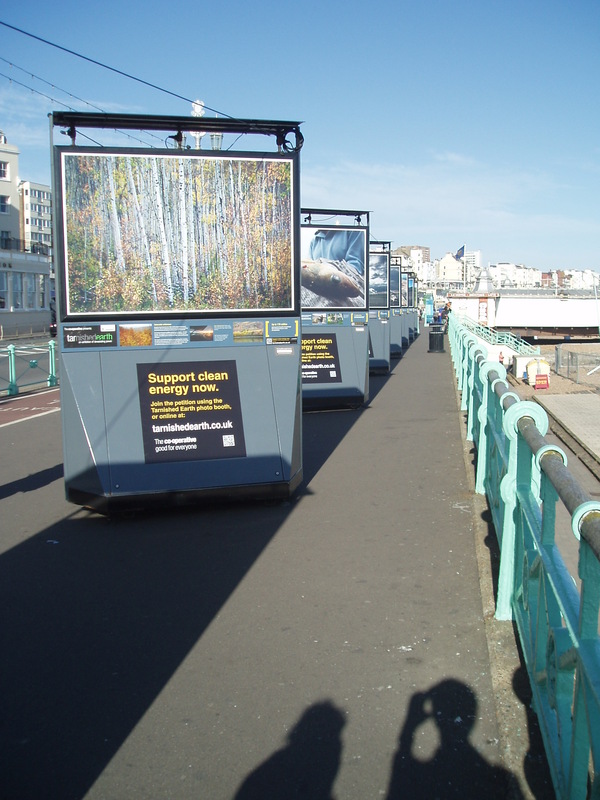 Last week, I made a trip down to Brighton. As you can see, it was a beautiful sunny day. 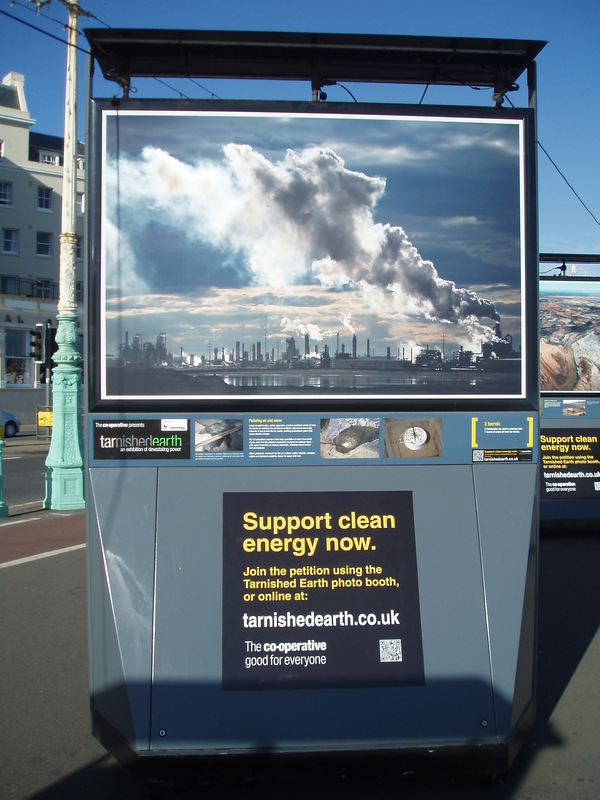 Whilst strolling down the promenade, I came across a series of billboards put up by The Co-operative. I had a camera at the ready so I started to snap away. 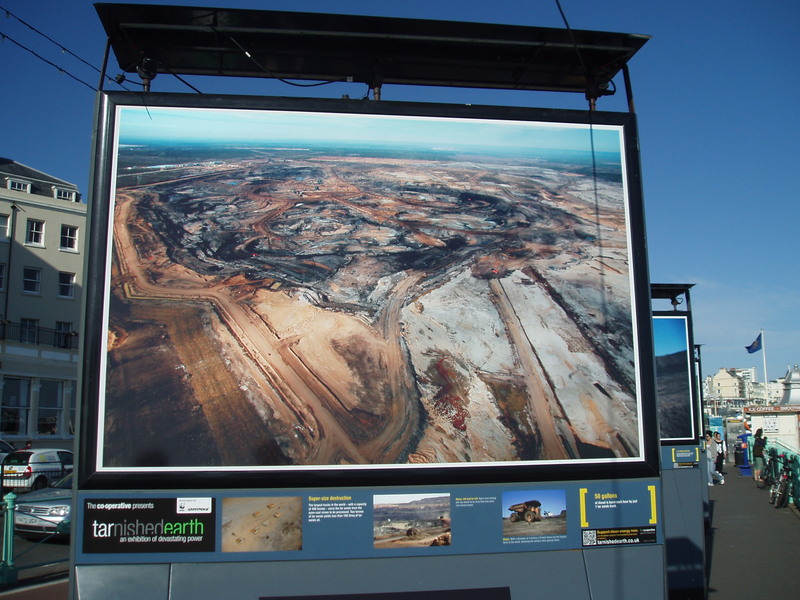 The billboards are part of the Tarnished Earth campaign. I’ve said before on this blog, I don’t think negative campaigning works – especially when it is so abstract and removed from everyday life. So next time, why not show alternative (and realistic) visions for a more sustainable future? Brighton has plenty of potential. The Big Issue #947 ‘The power of the New Society: Coming together. Consuming together. Campaigning together’ is no longer available from street vendors. 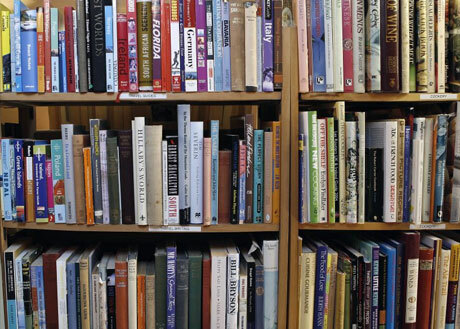 But you can purchase a back copy by clicking here. It has an interesting double page feature from Rachel Botsman, she of collaborative consumption thinking. In ‘Shaking the Tree’, George Monbiot reports that David Cameron’s “greenest government ever” presents the greatest ever threat to our environment. Mark Lynas says it is time to stop arguing and time to start decarbonising. The Economist has a piece on Africa’s “soaring” population growth.